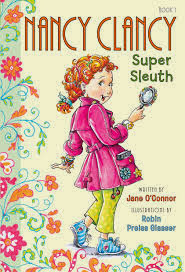 You did a great job reading Nancy Clancy and you said you liked it because you like mysteries. You weren't able to pick up on the clues, but you enjoyed it anyway. Jane O'Connor does a great job introducing new vocabulary. I'm still disappointed and confused that you didn't like Owen Foote, especially considering how much you liked Sophie Hartley. I don't really understand why. Maybe the concepts were too mature. 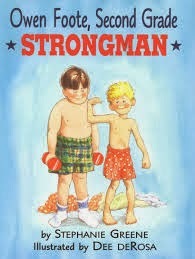 You thought the story was about being or becoming strong for quite a while through the book. I always liked the scare fair too. But I never thought the dunk tank was a good idea because it might hurt people's feelings.